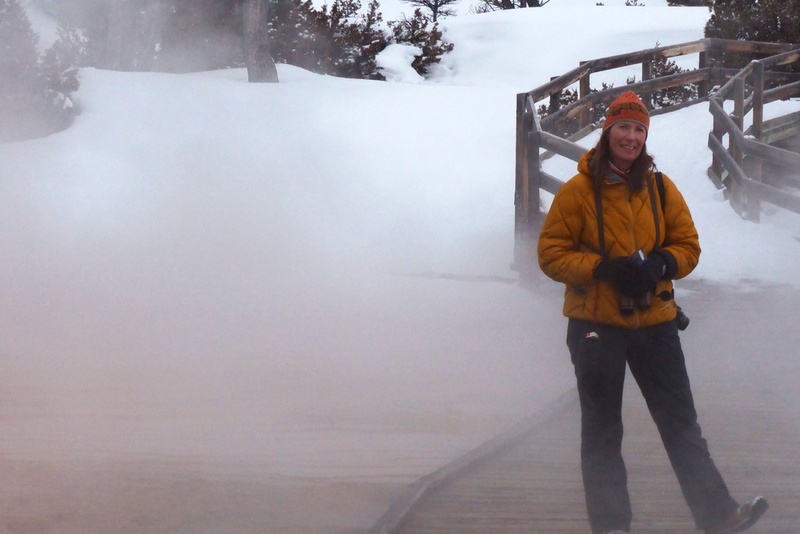 Much of Yellowstone's wildlife has moved to lower elevations by late February. This concentrates the animals into larger herds making them easy to find and fun to watch as they interact with one another. Today we saw eight to nine bald eagles, one coyote, probably a hundred or more elk, bunches of mule deer and whitetail deer and that was before we entered Yellowstone. A great start to this fabulous tour. HBighorn sheep are often hard to find much of the year. Disease issues being a large part of what controls thier population. 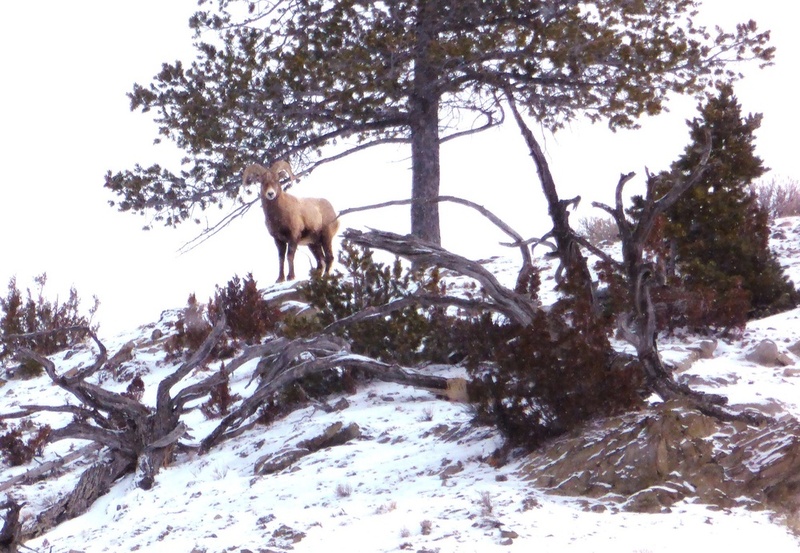 Winter, however, increases your chances of encountering a fairly large ram, like this one in Gardiner Canyon. He was part of a herd of eleven animals. Bison jams, like this one are a common occurrence in late winter as animals move to lower altitude for better forage. One of my favorite animals in or out of the Park is the Yellow-fronted Camera- toter. Or Eve Wills, my wife forever and co-guide for this trip. We do work well together.